Lots of CS education news last week. New York City starts a ten year effort to get computer science education in everyone of the city’s 1700 schools. Mayor Bill deBlasio announced a 10-year plan to put Computer Science in every grade, at every school in NYC: Microsoft announces $75 million\ to support CS education world-wide. And CSTA had some minor announcements as well. We’ll start of with CSTA I think. Spotlight on the 2015 Faces of Computing Video Contest: How Does Computing Better our World? Our annual contest for students of all K-12 levels. 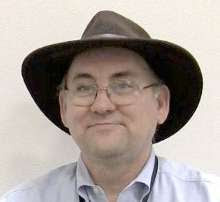 Computer Science Teacher: CSTA Now Accepting Applications for Cutler-Bell Prize – We’re looking for the most outstanding high school computer kids in America! Sound off! 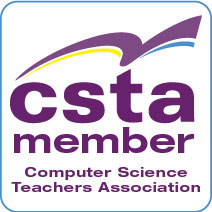 CSTA invites input for revisions to the K-12 Computer Science Standards CS Teachers are asked to answer a survey. This paper is interesting - Just putting programs out there is not equity: "They cant find us: The Search for Informal CS Ed" – tl;dr Common search terms by people who are not already computer savvy don’t find resources for kids to learn computer science or programming. It gives one some though for when they set up web pages. Germany Considers Compulsory Computer Science Classes One of my online correspondents is skeptical since in Germany as in the US the states not the Federal government sets standards. But clearly people are talking about this everywhere these days.